The Artist in Residence Program at Recology San Francisco will host an exhibition and reception for current artists-in-residence Matthew Gottschalk, Jamil Hellu, and student artist Claire Lynch on Friday, May 23, from 5-9pm and Saturday, May 24, from 1-3pm. Additional viewing hours will be held on Tuesday, May 27, from 5-7pm, followed by a gallery walk-through with the artists at 7pm. This exhibition will be the culmination of four months of work by the artists who have scavenged materials from the dump to make art and promote recycling and reuse. Matthew Gottschalk has looked to explorers such as Jacques Cousteau and Carl Sagan for inspiration while on his own epic adventure at the dump. Gottschalk, who in the past has used marionette puppets as protagonists in installations that include sculpture and video components, has crafted a Carl Sagan puppet to explore the cosmos of the Recology facility. 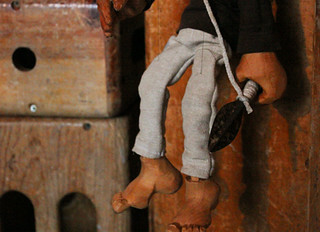 Through the use of touchstones of popular culture—and an ever-engaging marionette—Gottschalk brings playfulness to deeper questions of what it means to be human. Work alludes to Joseph Campbell’s concepts of the “hero’s journey” and universal myths, as well as to the primal human need to bring order and meaning to the world around us through such stories. Gottschalk also references the dangers and mysteries of space and oceanographic exploration; his series of harpoons made from materials including baseball bats and fireplace pokers suggest conquest and being “in the belly of the whale”—both literally and metaphorically—connecting to his own process of hunting for materials in the Public Disposal and Recycling Area. Much like the real Carl Sagan’s “Golden Record,” a collection of audio recordings and photographs representing aspects of life on earth sent into space with the hope that it might one day be found, Gottschalk’s marionette Carl Sagan has collected the evidence of life on earth through its detritus so that we may better know ourselves. Gottschalk will also create a soundtrack for the journey played on revived and newly created musical instruments. Gottschalk holds an MFA from Mills College, a BA in studio art from the University of California at Davis, and has studied at Yale. He was the recipient of a fellowship at Akademie Schloss Solitude in Stuttgart, Germany, and he has exhibited his artwork and videos in Nevada City, California; Stuttgart and Kassel, Germany; Gaza, Palestine; and Rijeka, Croatia. 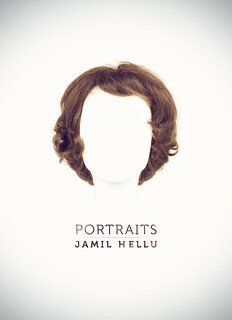 The images photographer Jamil Hellu has made during his Recology residency explore a range of ideas related to identity and portraiture. Examining how we create and negotiate our identities throughout our lives, Hellu looks at our memories via objects, and contemplates the pivotal influences that shape who we are. The work questions the shifting nature of identity and the many roles we play in our personal and professional lives. In some cases, Hellu places the things he has photographed alongside their images and brings poignancy to mundane yet once cherished items. He also replicates scenes in found photographs that are simultaneously humorous and touching, pointing to commonalities between seemingly different people. Work also explores identity in crisis and what it means to dispose of key markers of identity in a place like the public dump. If throwing away things, especially photographs, is a metaphor for the loss of individual identity, then the dump pile, becomes a homogenous monument to general human experience. Illustrating this is Hellu’s shredded pile of one-hundred snapshots of people at the Golden Gate Bridge—both a permanent erasure of these specific memories and an evocation of the universal significance this destination holds in people’s lives. Other photographs expand on this Bay Area and California love, as well as a love of photography itself. 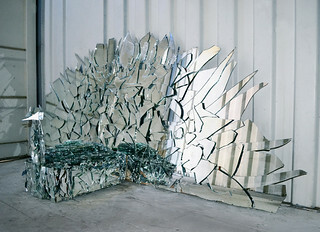 Born in Brazil, Hellu received an MFA from Stanford University and a BFA from the San Francisco Art Institute. He has been a recipient of a Graduate Student Fellowship from the Headlands Center for the Arts and received a residency at Cité Internationale des Arts in Paris. His recent series of photographs, Guardians of the Golden Gate, which capture friends in superhero guises of their own choosing in locations around the Bay Area, has been the subject of national media coverage. In a series of large-scale, abstract, sculptural bird forms, Claire Lynch explores difficult human emotions and how we negotiate and deal with these feelings. Of particular interest to Lynch are feelings such as tension, anger, or discomfort—emotions universally experienced, yet often condemned as socially unacceptable to express. Lynch explores the role these emotions have in shaping who we are, and how sometimes the things that are the most difficult to navigate provide space for the greatest growth. Four sculptures each address different responses to these emotions and represent concealment, routine, balance, and embrace. Together they point to the need to acknowledge and understand the place these feelings have in our lives. Claire Lynch will receive her BA in studio art from Stanford University this June. She has taught art at the American Overseas School of Rome Summer Program in Italy, and at the Potomac School Summer Program in McLean, Virginia. While a student at Stanford, Lynch has worked as an assistant at the Stanford University Art Gallery, and as a fabricator. Since 1990, the Artist in Residence Program at Recology San Francisco has encouraged the conservation of natural resources while instilling a greater appreciation for art and the environment in children and adults. This one-of-a-kind program enables artists to work in studio space on site for four months, use materials recovered from the Public Disposal and Recycling Area, and speak to students and the general public about reuse and their residency experiences. Over one-hundred professional Bay Area artists have completed residencies. Applications are accepted annually in August.